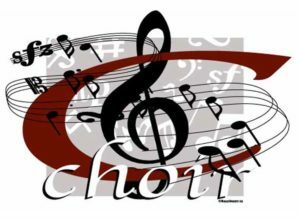 In 1995, members of the Community Church Choir, under the direction of Helen Finch, wanted to expand their musical collaboration to include secular performances within the Park City area. Other church choir members were invited to participate, and the Park City Singers choir was born. PCS was incorporated February 6, 1998 and received 501(c)3 non-profit status from the Internal Revenue Service that same year. We retain 501(c)3 status to this day and count on community support to help keep us going. Since the group’s early beginnings, PCS has expanded to approximately 65 volunteer members from around the country and world. Members have ranged in age from their teens to eighties. Contrary to popular belief, PCS is not a “church choir” and is always looking for ways to diversify our musical selections to include and respect the entire Park City population. Since its inception the choir has performed a variety of concerts at multiple venues including: Winter Holiday concerts; Spring Concerts; participation in the 4th of July parade; Opening Ceremonies at the 2002 America’s Cup Ski Races, Olympics, and Paraolympics; Park City Academy; The Sundance Film Festival at the Park City Arts Festival; Habitat for Humanity’s annual fundraiser for Summit & Wasatch counties.